Yes! 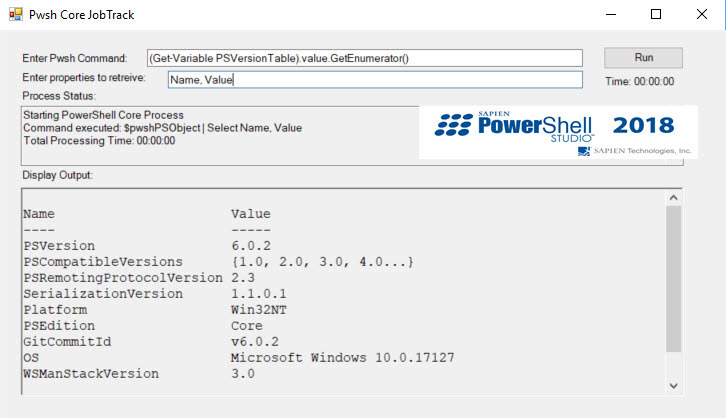 It is possible to execute PowerShell Core in Windows PowerShell in a very creative way. 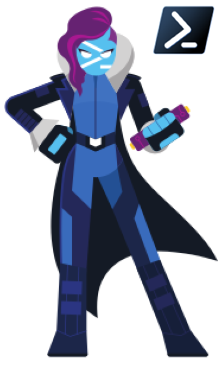 Of course, this is just a Proof-Of-Concept and fun to experiment. In this scenario, the goal is to be able to rebuild the PowerShell Core PSObject in Windows PowerShell. and see the results. First, if PowerShell Core is already installed, then that’s all we needed. The ingredient are there and we are the chef to create the recipe. 1. 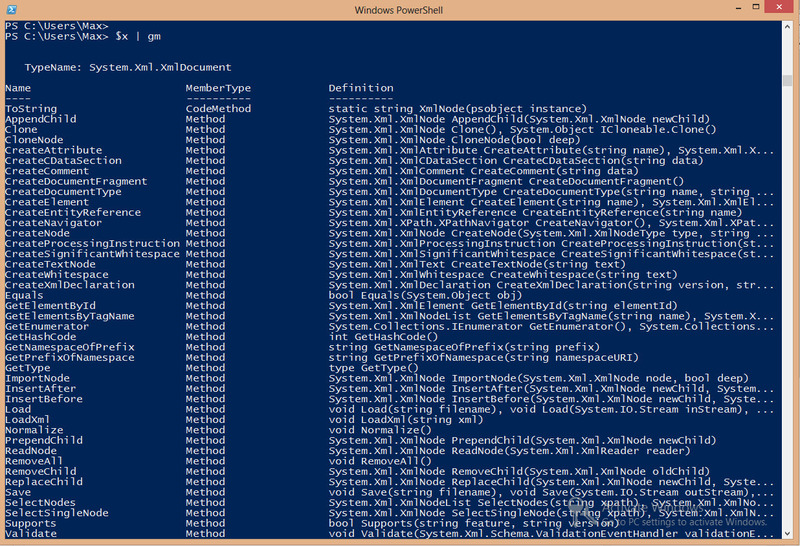 Start-Process – This cmdlet will run PowerShell Core non-interactive. 2. Export-Clixml – This cmdlet will export to an XML file the PSObject from PowerShell Core session. 3. Import-Clixml – This cmdlet will import from an XML file to recreate the PowerShell Core PSObject in Windows PowerShell. 4. Select-Object – This cmdlet is use to display the output of that object. Think of the *-Clixml cmdlets as the disconnected way to reuse PSObject in a disconnected way, is like saving the state of the object for testing. Basically, Start-Process is where the PowerShell Core is run to execute the script. Now, within the PowerShell Core script, it is required to include the Export-Clixml cmdlet. This is where the PowerShell Core Object created in the script will export to an XML file. Finally, importing the same XML file in Windows PowerShell to be worked on and the displaying the PowerShell Core results in Windows PowerShell session. Now, it’s very important to study and understand the PowerShell PSObject. Also, do all necessary test to see if there are any limitations in this process. The code is executed from a Windows PowerShell session. Try it, experiment, and test. See if it’s fit your need in any way. Please, I’m not saying that this the way to go. But, it just showing one way to handle sharing results between Windows PowerShell and PowerShell Core. 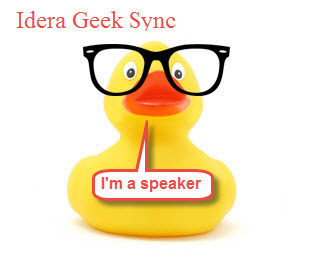 Again this is just for fun, and at the same time learning more about PowerShell. Be Bold!! Learn PowerShell Core!! 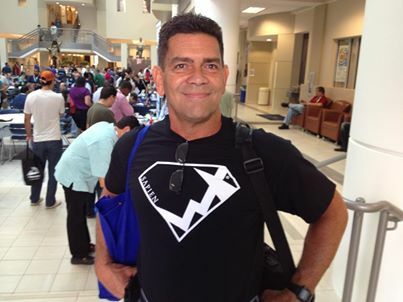 Once again I’m thankful to the organizers to have me speak at this “Awesome” event. I appreciate the all whom attend my session meking it a Great Success and they got more. 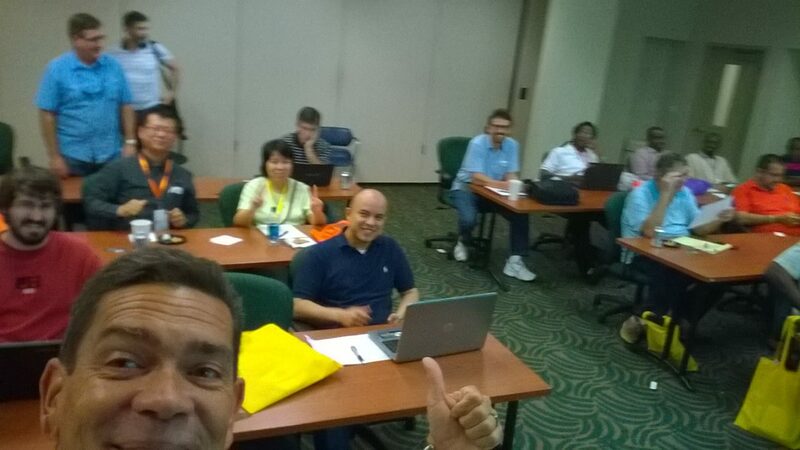 My “PowerShell with Visual Studio SQL Data Tools” session became also a “SMO Simplicity Recap” session. They got two session in one. 2. 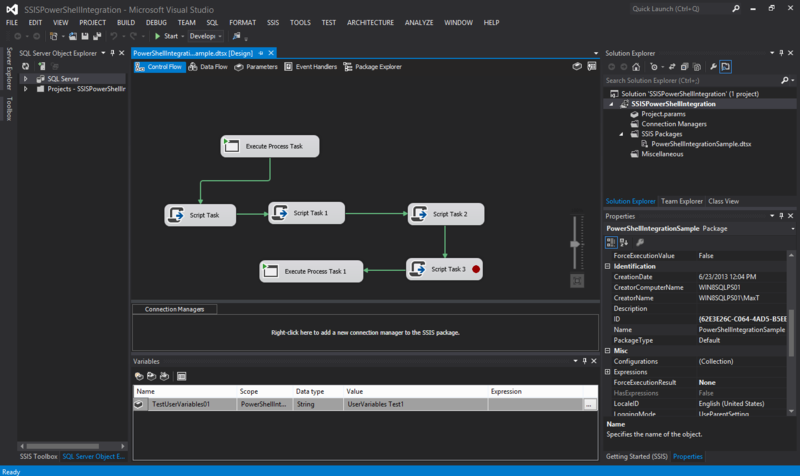 Visual Studio integration with either Team Foundation and Github repositories. 3. A quick dive in XML objects. 4. PowerShell error trapping in integrated solution. 5. PowerShell SMO embedding and executing T-SQL code. 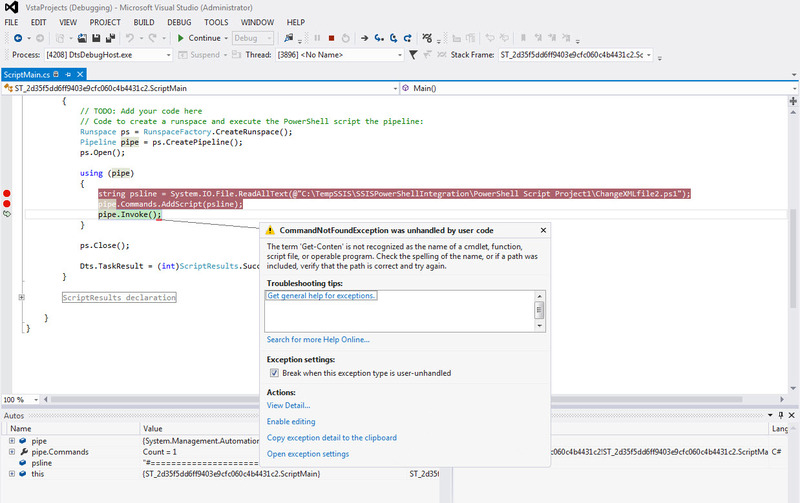 During my presentation I demo for the first time how Visual Studio can trap PowerShell errors from within a SSIS Script Task component. And, everyone dropped their mounth. Beside the fact that you can also run and trap script errors by executing by itself. In the SMO session, I show how useful the ScriptBlock can be when embedding and running T-SQL code while PowerShell reads one object at a time. Once again, THANKS to everyone for your attendance and support. These session come full of demos and reference information. 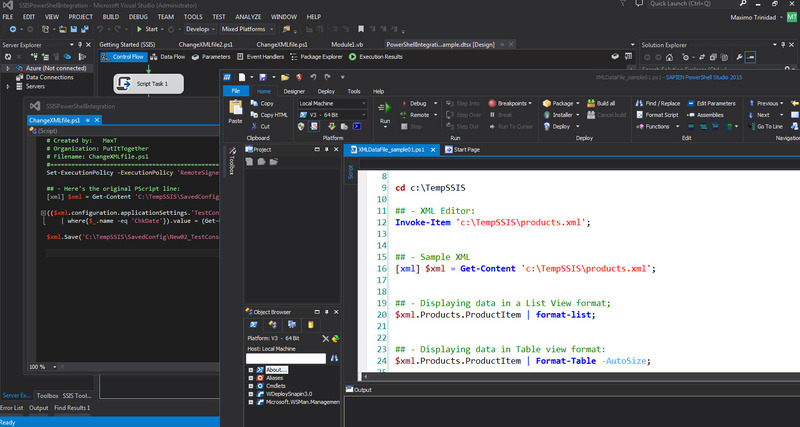 The important one is the “SSIS – Integrating PowerShell in a ScriptTask component” which help you to include your already existing PowerShell script file in a SSIS solution using SQL Data Tools 2012. Also, I will be giving away some exciting stuff you don’t want to miss. 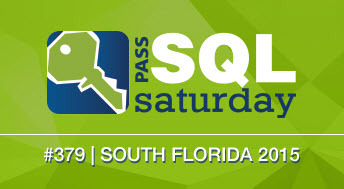 Please come and join us in this Great SQLSaturday event. Here’s my presentation for both sessions. 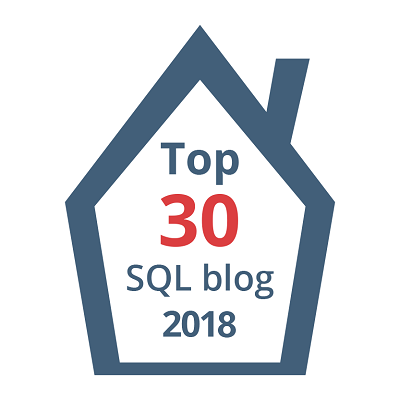 This topic came up after my SQLSaturday presentation in Tampa last weekend. In an scenario when (for some reason) someone is supplying an single XML file containing one series of information, or I should say, one record at the time. Maybe we can’t have the client to provide us with an XML file containing a series of records. This will force us to be creative and build a solution to accumulate and/or append all the individual XML files.Well, here’s how I think it can be done. 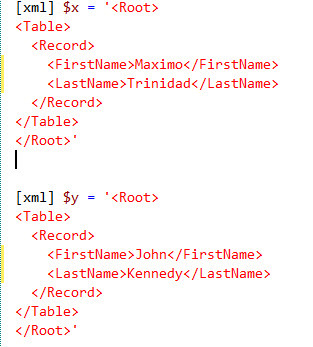 I’m creating two PowerShell XML objects with one single record containing two fields: FirstName and LastName. 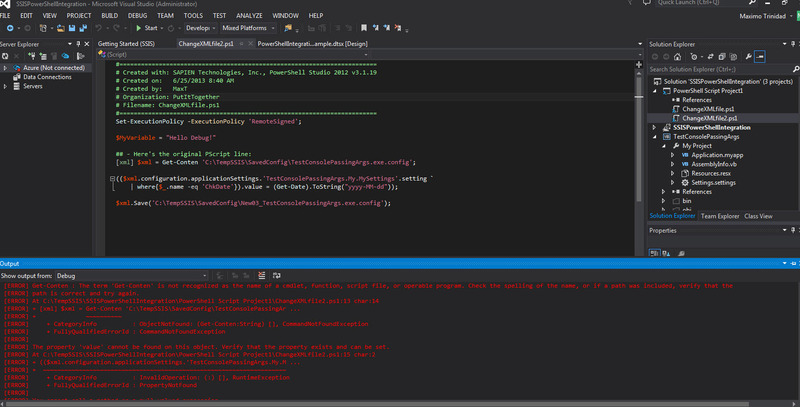 Notice I’m using the “xml” (inside square-brackets) accelerator to create the object of type ‘XML’. To verify the type of object use the following .NET object method ‘.GetType()‘. 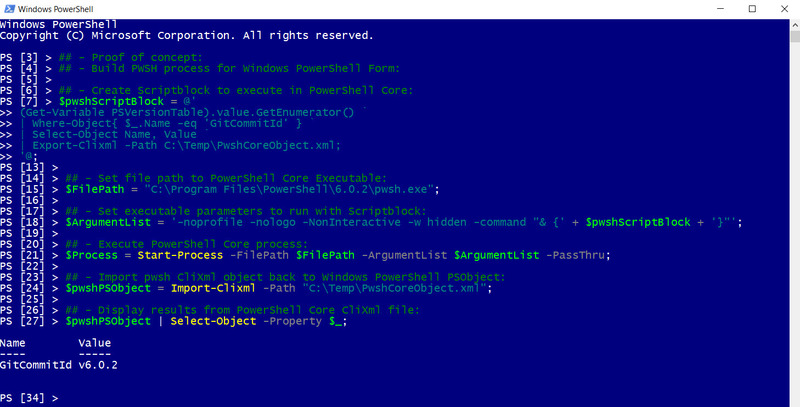 If you want to find more information about the PowerShell object you created use the ‘Get-Member‘ command to all of its Methods and Properties. 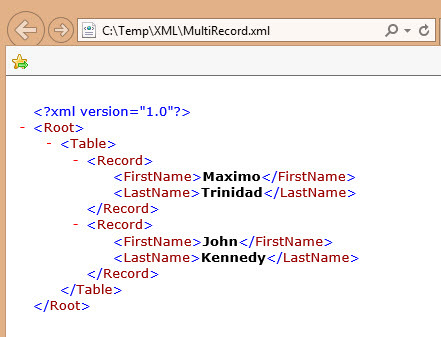 As you can see both XML objects contains the “Record” elements content: FirstName and LastName. As you can see, we have successfully added the “Record” elements data.